The 4-H Chick Chain Show and Sale was held Tuesday morning in downtown Woodbury. Many cages of fine chickens were auctioned off to benefit 4-H. 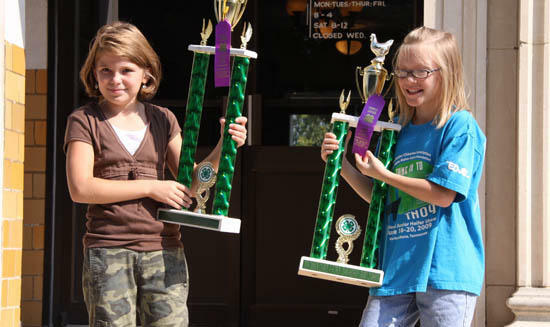 Faith Womack selected the Champion Chickens and Chloe Dill had the Reserve Champions. The auction is a great place to buy chickens, with high quality chicks selling for anywhere from $7 to $20 a piece. The event was sponsored by the Tennessee Department of Agriculture.